Petra Andalee and Calder Pillay together, strange things start to happen: Seemingly unrelated events connect, an eccentric old woman seeks their company, and an invaluable Vermeer painting disappears. Before they know it, the two find themselves at the center of an international art scandal, where no one -- neighbors, parents, teachers -- is spared from suspicion. 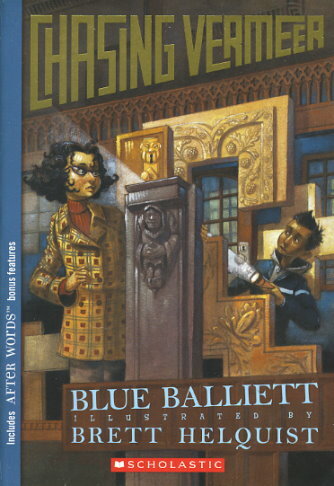 As Petra and Calder are drawn clue by clue into a mysterious labyrinth, they must draw on their powers of intuition, their problem-solving skills, and their knowledge of Vermeer. Can they decipher a crime that has left even the FBI baffled?